DAC - převodník, 12bit, I2C. Vytvoří analogový výstup, tolik chybějící na procesorových deskách! 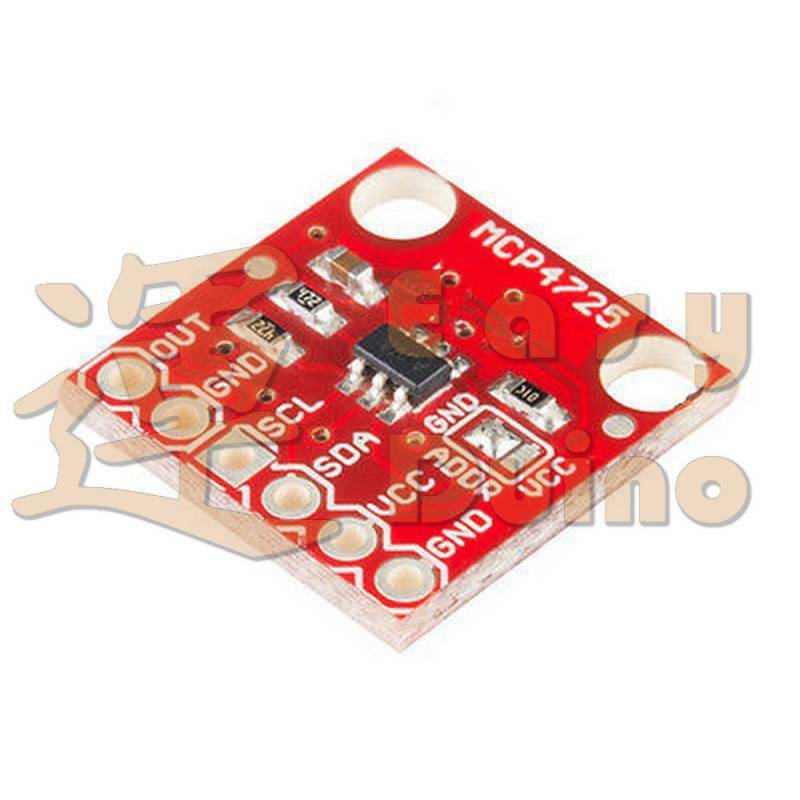 You've always wanted to output analog voltages from a microcontroller, the MCP4725 is the DAC that will let you do it! A DAC allows you to send analog signal, such as a sine wave, from a digital source, such as the I2C interface on the microcontroller. Additionally, if you are looking to have more than one MCP4725 on a bus, the pull-up resistors on this board can be disabled. 12-bit resolution I2C Interface (Standard, Fast, and High-Speed supported). Small package 2.7V to 5.5V. Internal EEPROM to store settings.